These days’ online markets are flourishing. 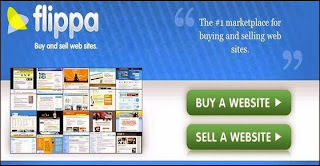 There are about 300 websites registered online every day and more than 200 websites are bought daily. This evolved a need of creating a marketplace of trading websites. By using this kind of website a user will come to know the various factors like Page rank, domain age and number of visitors. Buying an existing domain would be profitable as users are already pouring into the site and it also has a page rank. There are two easy to build a website one is a traditional method of building a site from scratch and another is to use clone scripts. Clone scripts have various advantages, they save time and money to design, develop and code the site. Besides these advantages they also have inbuilt feature. They are ready to launch solutions. Let us see the comparison of leading flippa clones. The second on the list is flippa-clone.com. Even this script has messed up the design of the website. This clone script has a left sidebar with few options in it. They have added the register button on the header which makes it visible to the user. They have also added the ad banners in the left sidebar. Another ad banner is located just above the footer this spoils the look of the entire site. The register now button and free button are next to each other and both redirect to registration page. This is another drawback of this clone script. The footer of the clone script is lazily designed. It is too simple. There are no social media options present in the header or in the footer. This is a huge drawback; it will affect traffic as well as user engagement too. If they work on the designs and make it appealing, user – friendly and business oriented flippa clone script, I can think of purchasing it. The first look on its demo gave me an aesthetic feel. Instead of having a blog type design they have really worked on the design. All the options are in the right place. The Signup and login options are in the extreme corner of the header where users would expect it to be. Social media options are creatively placed in the header. You have to click on one of the menus and then the filter options appear. There are more filter options present in flipit. Even here the footer is too simple but it has various links to navigate. This adds to the user- friendliness of the site. The text on the buy website and sell website button pixilates, they can fix this issue while customizing your flippa clone site. Another advantage of this flippa clone is that the basic stats are available to the user. This will create more trust within the hearts of the user.